This new, low profile half helmet from Daytona Powersports is quickly becoming our top selling cruiser helmet. At half the price and all the features, the DPS-100 is a great value. The DPS-100 is the smallest D.O.T. Approved shorty helmet with a drop down sun visor that we have come across in 26 years. 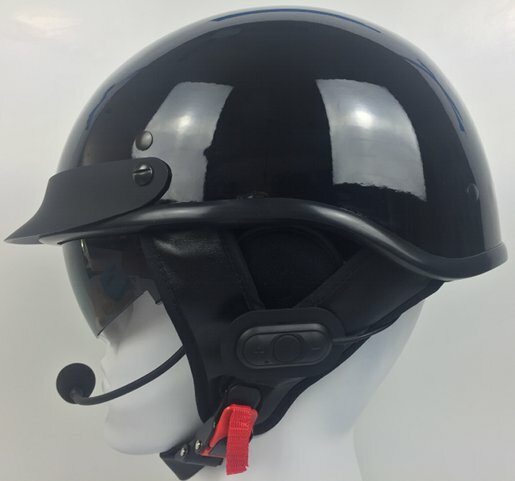 This helmet is equipped with a Sena RidePal bluetooth motorcycle communication system.